A wedding reception fit for royalty. Priyanka Chopra and Nick Jonas officially tied the knot in an opulent wedding last weekend, peppering our social media feeds with glossy photos from their pre-wedding events. While shots of the sangeet (a celebration for the wedding to come) at Mehrangarh Fort — a national monument built in the 1400s overlooking the city of Jodhpur — looks stunning, nothing beats the view from their over-the-top wedding venue, the Taj Umaid Bhawan Palace. 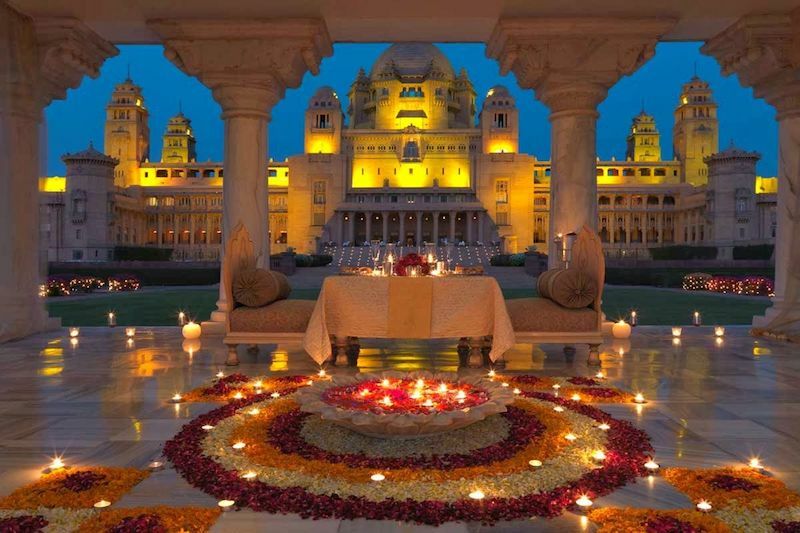 Named after Maharaja Umaid Singh, the palace is the residence of the former royal family of Jodhpur. It counts among the most lavish homes ever built, with over 347 rooms and a large banquet hall which could accommodate up to 300 people. The palace was initially built to provide employment to famine-stricken farmers as Jodhpur faced severe drought in the 1920s. The king then commissioned Henry Vaughan Lanchester as the architect to carry out the plans for the palace. 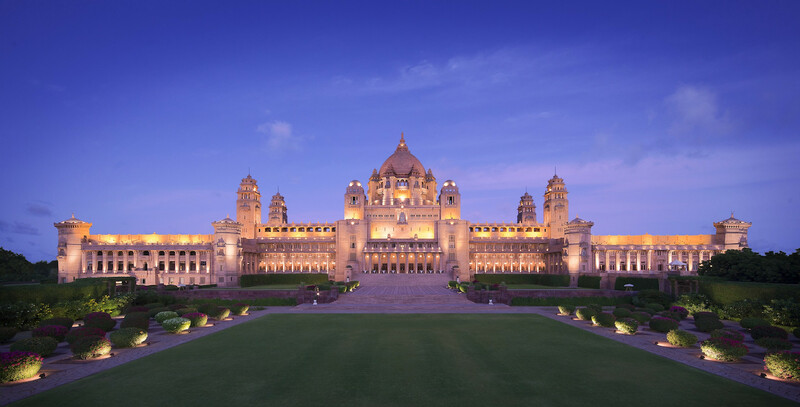 Constructed between 1928 and 1943, the palace sports a golden-yellow hue as it was built with dun-coloured sandstone. The Beaux-Arts-style (also known as Indo-Deco style) palace is set on 26 acres of landscaped gardens roamed by peacocks. It was Gaj Singh II, who succeeded his father Maharaja Hanwant Singh I, who converted a part of the palace into a hotel. The hotel hosted numerous guests in the past, including Mick Jagger as well as Prince Charles and Camilla, Duchess of Cornwall. It was also the site where English actress and model Elizabeth Hurley got married to Arun Nayar. Perched on Chittar Hill, the highest point in Jodhpur, the luxury five-star hotel now offers 64 Art Deco-style rooms, a bar with unique hunting-themed decor, and rejuvenating spa treatments at the Jiva Grande Spa. 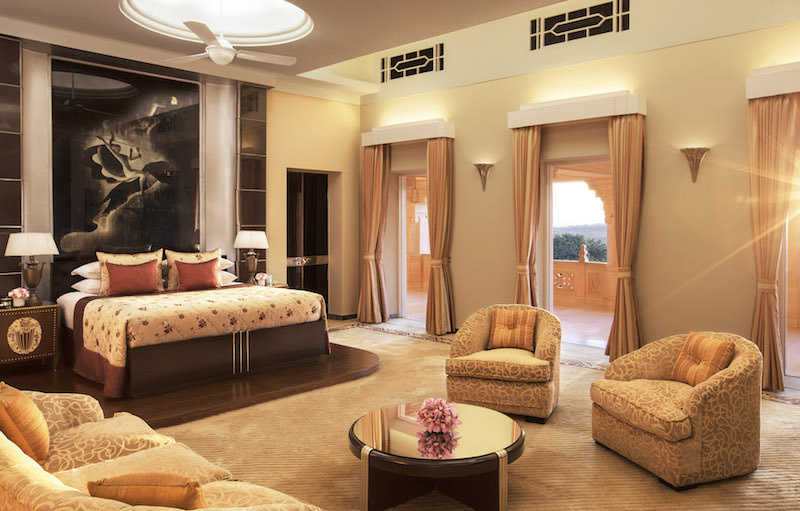 If money is no object, book into the largest Maharani suite for your next vacation. The 4,800 sq ft room, whose private terrace looks out to the palace gardens, was designed for the queen herself, Maharani Badan Kanwan.